Hey everyone, it has been way to long since I sat down to write on a consistent basis. Now that I am back in Hartford, and not in New York, my life should allow for some more articles. Although my birthday was over the past week and I was thrown a surprise party the biggest shock of my weekend occurred while listening to satellite radio. Being all about pop music, my Sirius is always set to Hits 1, their top 40 station. Occasionally they run (play) a feature called who’s next, which is essentially what the next big songs will be and it features artists who’s careers are about to explode. To my happy surprise I heard not one but two artists that I had interviewed and written about in the past few months. This is sort of like critiquing art when it first comes out, and then the painting winning an award months later, it’s really cool. The artists in question were Lights and Safetysuit. The Safetysuit interview has not been published yet but will be in the next few weeks. 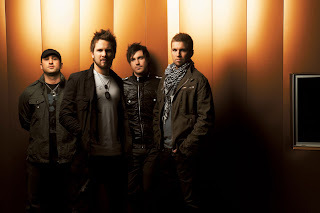 If you would like to read more about Lights click here and check back soon for the interview with Safetysuit. This week everything will return to normal, we will have a song of the week and some new album reviews. Check back soon and thanks for reading.